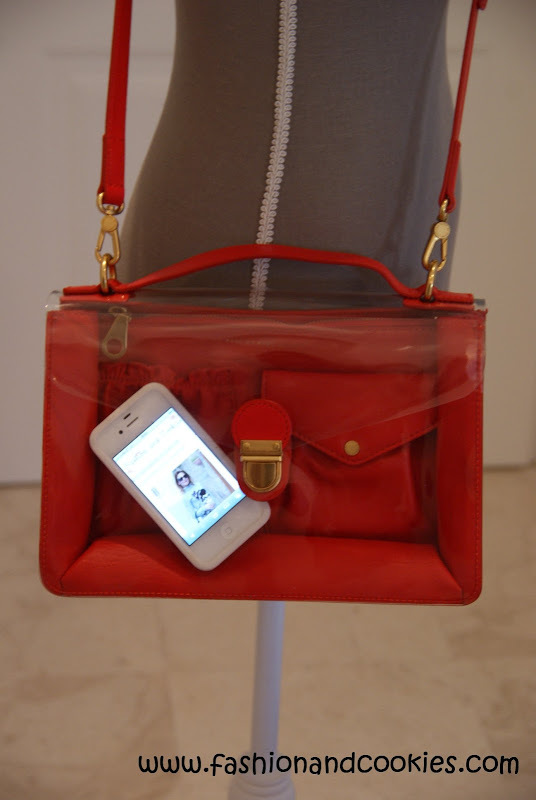 Trend alert: Marc by Marc Jacobs see through bags ! 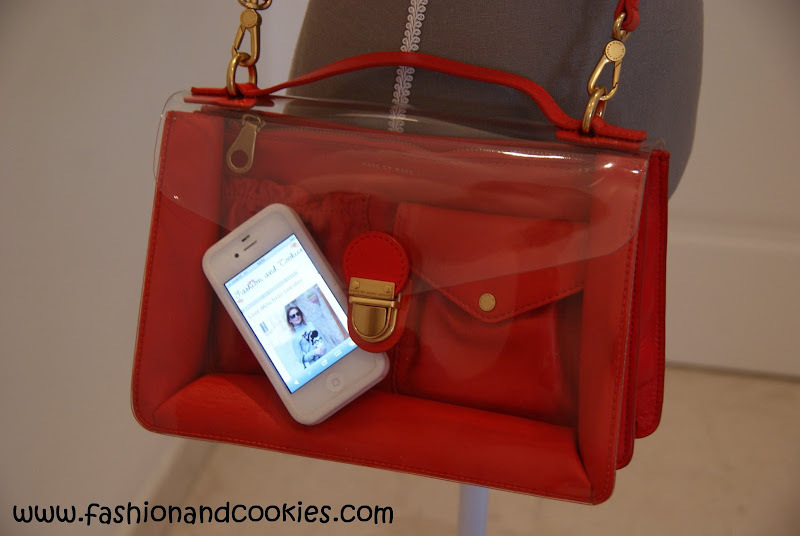 See through bags are one of the hottest trends for Spring-Summer 2013, I have the feeling we'll see them a bit everywhere ! 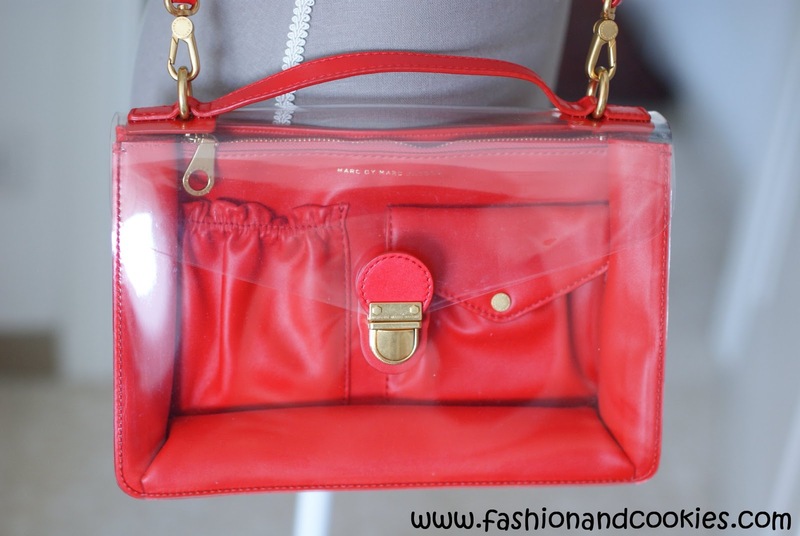 There are plenty of transparent bags around, but my absolute fave ones are these ones from Marc by Marc Jacobs. 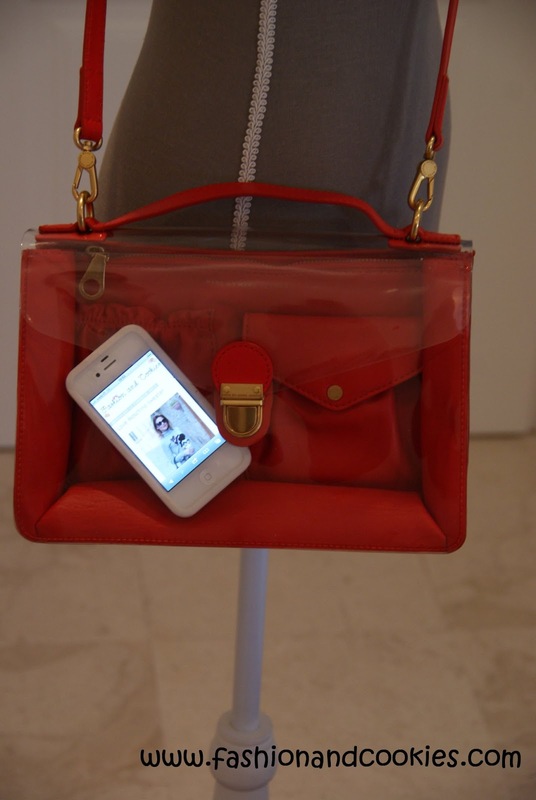 This brand went for a clear front panels so there's a right compromise between a trendy transparent bag and our need for privacy. I don't think I could pull off a totally transparent bag, but a bag like the ones you see above, there is the chance to display just one or two items of choice and to hide the other things from people's view. Add to this that they are totally cute !. I am proud to introduce my newest bag, Marc by Marc Jacobs clearly top handle bag, it was gifted to me by hubby for Valentine's day (subliminal messages DO work, believe me ! )...red like passion and very trendy, can you tell I am happy ? :-). Le borse trasparenti sono uno dei trend più "hot" per la Primavera-Estate 2013, sento che le vedremo ovunque ! Ce ne sono tante in giro, ma le mie preferite in assoluto sono queste di Marc by Marc Jacobs. Il brand ha scelto di optare per i pannelli frontali in pvc trasparente, lasciando quindi un giusto compromesso tra la trasparenza e il bisogno di privacy. Non credo indosserei una borsa totalmente trasparente, ma con una borsa come quelle che vedete nella foto, c'è la possibilità di "mostrare" solo uno o due accessori, lasciando gli altri oggetti al sicuro da sguardi indiscreti. In più, sono decisamente carinissime !. Sono orgogliosa di presentarvi l'ultima arrivata a casa mia, Marc by Marc Jacobs clearly top handle, regalatami dal maritino per San Valentino (i messaggi subliminali funzionano ! )...rossa come la passione e alla moda, ovviamente non poteva non rendermi felice ! :-). Taking pics to this kind of bag isn't too easy, especially in the house ! I have displayed my iPhone just to show you how it looks. I can't wait to wear this bag, I think it will look lovely with jeans or even with a cute dress, plus I love the bright red color and the softness of the leather !. I am usually very fond of large bags, and I am just happy this one isn't too small to carry my essentials :-). What objects would you display in the clear front ? A fancy wallet, mobile phone, a pair of sunglasses or maybe your lipstick for a quick retouch ?. Scattare foto a questo modello di borsa non è facile, tra le mura di casa ! Con l'iPhone vi rendete conto di quanto spaziosa sia. Non vedo l'ora di portare questa borsa con me, credo che starà benissimo con i jeans ma anche con un bell'abitino, poi adoro il rosso brillante e la morbidezza della pelle !. Solitamente uso borse grandi, di questa mi piace il fatto che - seppure di dimensioni contenute - sia abbastanza spaziosa per portare tutti i miei oggetti "essenziali". Quale oggetto mettereste in vetrina nella tasca trasparente ? Un bel portafoglio, il vostro telefono, gli occhiali da sole o, magari, il rossetto per un ritocco veloce al make up ?. REMINDER: SUNGLASSESSHOP VALENTINE'S VOGUE SUNGLASSES GIVEAWAY ! Let me remind you that Fashion and Cookies teamed up with SunglassesShop for an amazing giveaway, up until February 20th ! A follower of this blog will win a pair of Vogue sunglasses of choice among all those sold on SunglassesShop.com, the giveaway is open worldwide and to read the rules and enter you can click here !, so what are you waiting for ? Do enter NOW before it's too late !. Good luck ;) !. I really love this trend - your bag is so nice! Questo trend non mi fa impazzire ma queste borse di Marc Jacobs mi hanno sorpreso piacevolmente. E' carinissima la versione in rosso. Nice post I love it! Nooo ma che belle! Anche io ho adocchiato qualcosa di trasparente che farebbe al caso mio !! Buon fine settimana Vale! honestly i would like one in every color hah! Secondo me i messaggi non sono stati molto subliminali, gli avrai lasciato un folgietto con le indicazioni sotto il cuscino!! Carinissima, non l'avevo ancora vista!! I need to get in on this trend!! Love it! Sono stupende, quella rossa è la più carina!! Partnering again with Firmoo for this new 1-week only Giveaway!!! Join Now!!! The red and the white ones look amazing! 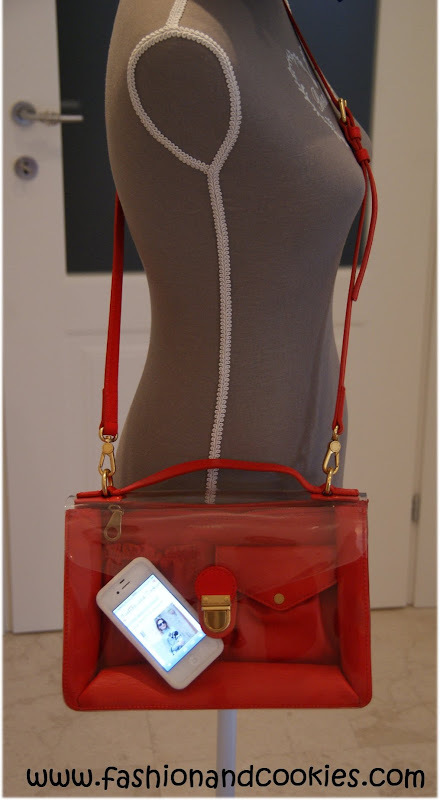 Falling il love with this bag!! Che carina, non la conoscevo, ma mi piace già tantissimo!! non conoscevo questo modello forse anche perchè non sono una grande appassionata delle borse trasparenti, ma questa è carina. Grazie per il commento!!! 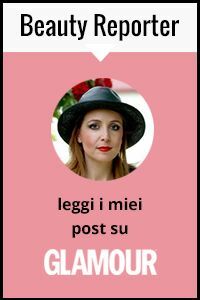 Che ne dici di seguirci a vicenda su GFC, Fb e Bloglovin'? I love this trend! I've seen the totally transparent bag for a year or so, but this one really is much better! Che belle *_* Ho sempre amato le borse trasparenti! 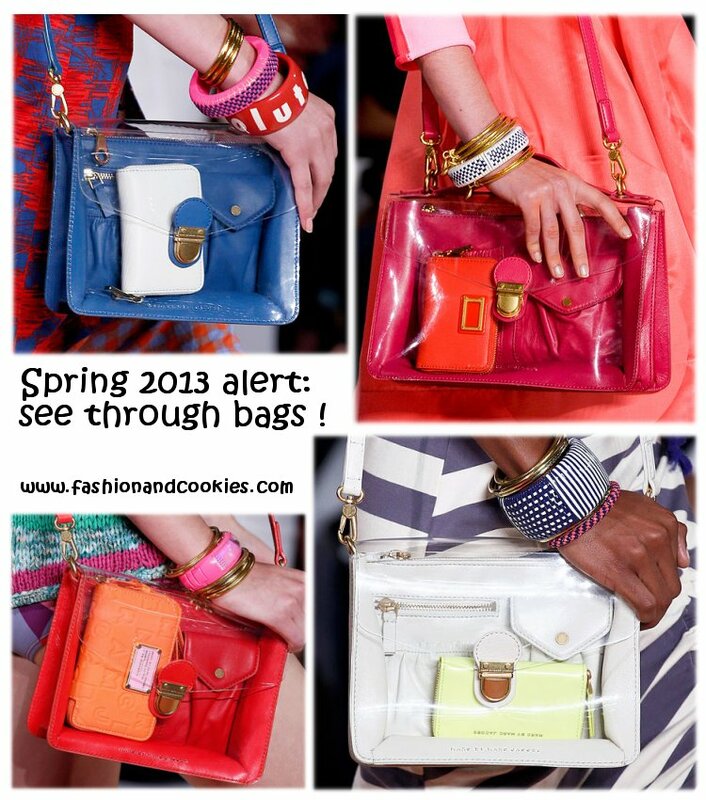 I love those see-trough bags, I think they're really original and you can style them quite easy and fab :). Hey, thanks for your comment, it sure means a lot :). Cute bag! However, my bag always seems to have a mess inside.....I'm not so sure I'd want anyone to see it! Lol. Ciao!! Grazie mille per essere passata da me! 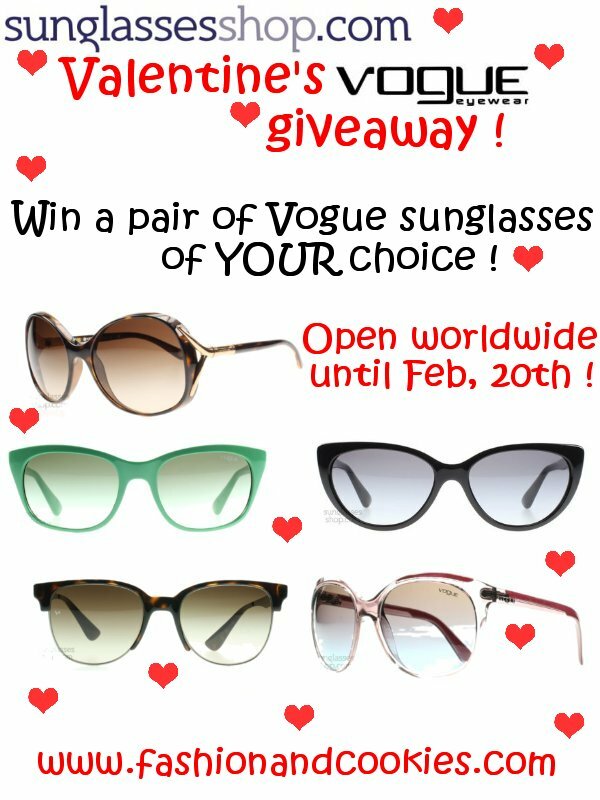 SunglassesShop Valentine's Vogue Giveaway ! Let's welcome February...with a recap !